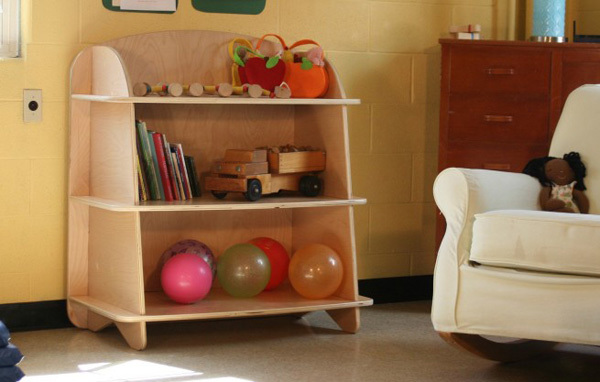 Click through to see the Aero furniture range – it’s contemporary kids’ furniture at its finest! The Aero range of children’s furniture from Sodura encapsulates a beautiful blend of modern design and eco-friendliness, perfect for kids of today. Babyology office favourites include the Aero Toddler Bed (US$420) which is made from sturdy birch wood and is available in a staggering seven finishes. 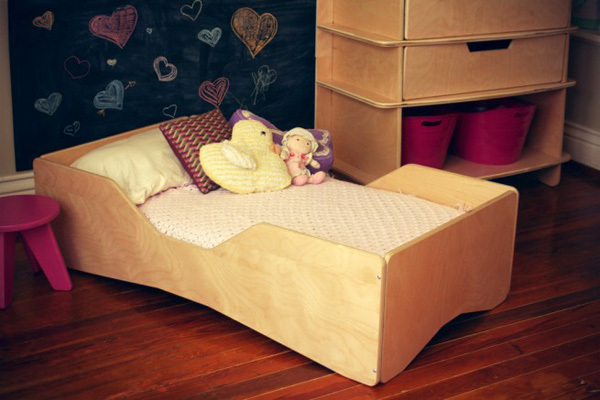 The toddler bed fits a cot mattress, which holds off the purchase of a ‘big bed’ a while longer – and makes the most of your initial cot mattress purchase! 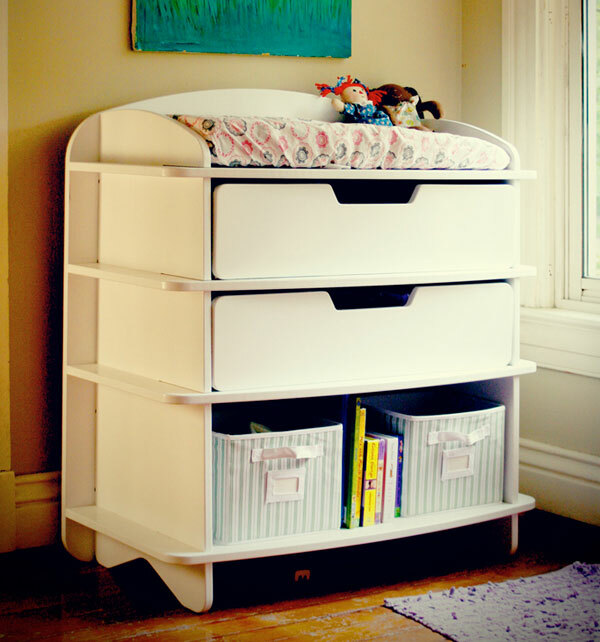 The Aero Change Table Dresser (US$650) is a nifty piece indeed, magically claiming to use no hardware at all to put together as it morphs from change table and dressing station to a delightful dresser far beyond the baby years. The contemporary birch design lends itself to both modern and traditionally styled spaces, making it a great investment. Available in small and large varieties is the Aero Bookcase (priced from US$125) – the smaller of the two stands at fifty centimetres tall and makes for a great night stand, the large bookcase stands at one metre tall, giving ample room for a child’s library or toy collection. As far as we know, Sodura’s Aero range is not yet available in Australia, a reshipper will be required for purchasing from Modern Tots.